Abscesses:Bacteremic patients and recurrent aspiration may develop multiple lung abscesses, which are more common in dependent areas of the lungs. 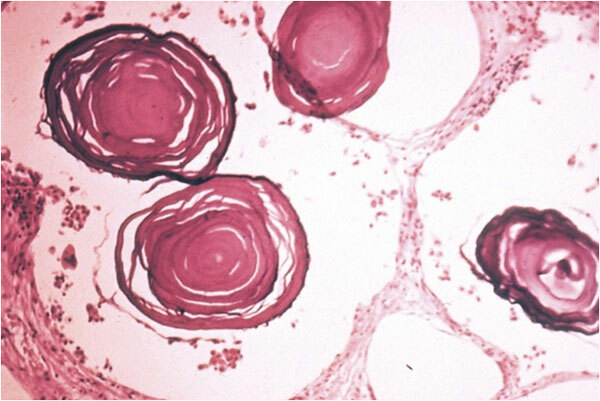 Typically the lesions are between 0.5 and 3 cm in diameter, round, and well-defined. Fungi : histoplasmosis, coccidioidomycosis, cryptococcosis, or invasive aspergillosis in immunocompromised hosts. subacute pulmonary infection weeks to months following exposure. Symptoms are usually mild, and the events causing the exposure are difficult to identify. Radiographs typically show focal infiltrates and mediastinal or hilar lymphadenopathy . 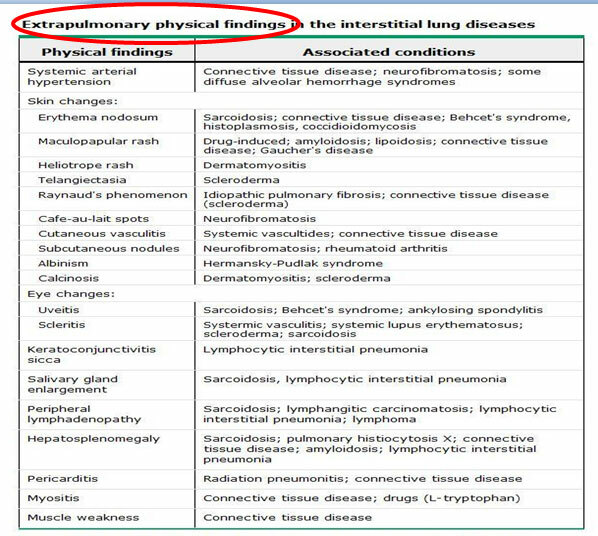 Patients susually have underlying lung disease. Affected patients develop a productive cough, dyspnea, chest pain, fatigue, fevers, and sweats and have fibrotic apical infiltrates with cavitation on chest radiographs or CT scans . Silicosis refers to a spectrum of pulmonary diseases caused by inhalation of free crystalline silica (silicon dioxide). 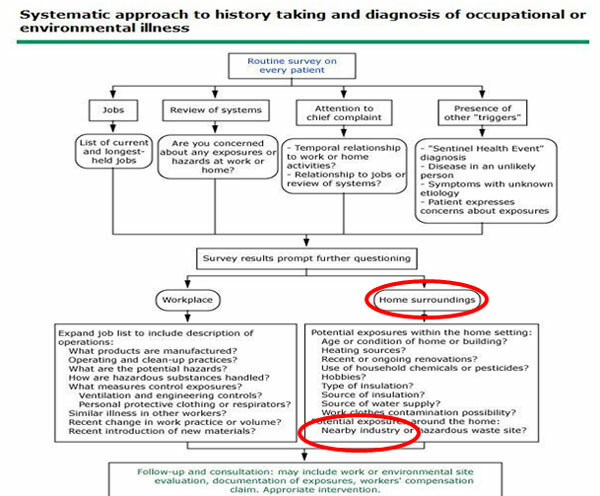 Accelerated silicosis:Accelerated silicosis develops within 10 years of initial exposure. 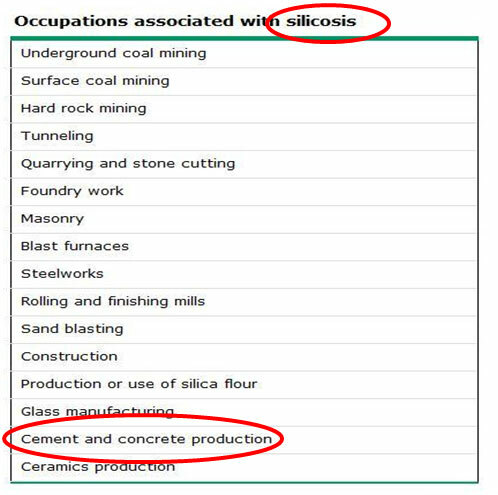 Accelerated silicosis is associated with high-level exposure to silica. Acute silicosis : Acute silicosis is characterized by rapid onset of symptoms including cough, weight loss, fatigue, and sometimes pleuritic pain. Wegener's granulomatosis, rheumatoid arthritis, Pulmonary lymphomatoid granulomatosis, amyloidosis, and sarcoidosis. Sarcoidosis presents in patients between 10 and 40 years of age in 70 to 90 percent of cases. 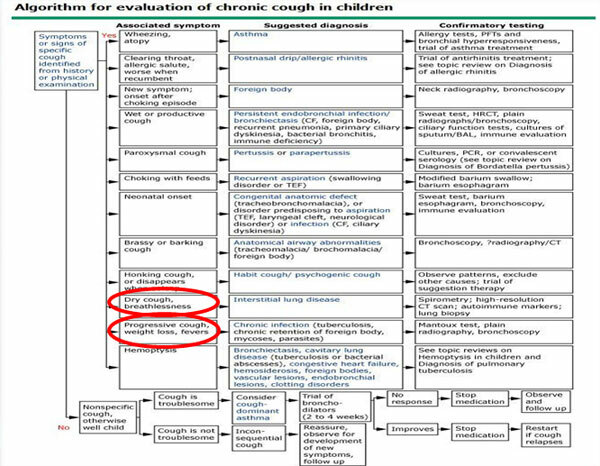 Younger children often present with skin rash, arthritis, and uveitis without apparent lung involvemen. A rare idiopathic lung disease characterized by the presence of innumerable tiny calculi (microliths) composed primarily of calcium phosphate within alveolar air spaces. It was not well characterized until the 1950s. Since then, interest in the disease (and the number of reports) has increased; in 1957 one report described 26 cases, and by 2005, 576 cases had been reported in the literature. Pulmonary alveolar microlithiasis most frequently appears in Turkey, followed by Italy. 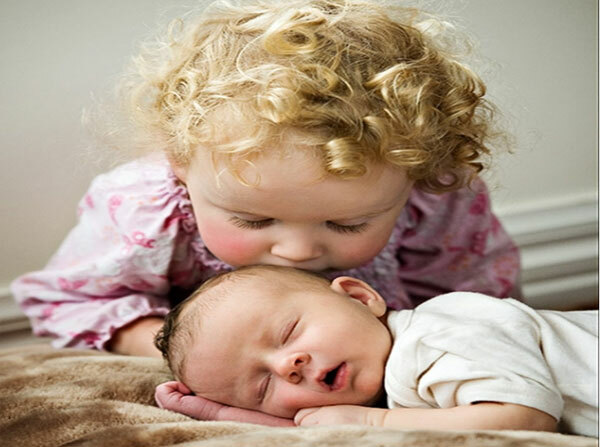 The disease can occur in individuals of any age and has been reported in stillborn twins and an 80-year-old woman. However, it occurs most often in adults between the ages of 30 and 50. The etiology and pathogenesis of PAM are unknown. Homeostasis of inorganic phosphate in the human body is maintained by regulated absorption, metabolism, and excretion. Sodium-dependent phosphate transporters (NaPi) (mutation in the SLC34A2 gene) mediate the transport of inorganic phosphate (P(i)) in cells in response to dietary phosphate consumption, hormones, and growth factors. Signaling pathways activated by mitogens, glucocorticoids, and metabolic factors have been implicated in regulating P(i) transport via NaPi2b. Inactivation of NaPi2b function by mutations has been linked to human pathologies, such as pulmonary alveolar microlithiasis. A number of cases have been identified by radiologic evaluation of asymptomatic relatives of an index case. Such reports suggest that the disease begins with involvement of the lung bases and progresses slowly, toward involvement of a progressively larger fraction of the lungs, leading ultimately to death from respiratory failure, usually in early adult life. In contrast, the disease can be stable for long periods (up to 30 years in some patients), even when extensive radiographic changes are present initially. Pneumothorax can occur, presumably from bullae and subpleural cysts, and can be recurrent in some patients. Transbronchial biopsy reveals characteristic microliths that measure in diameter from 0.1-0.3 mm and are located almost invariably within alveolar air spaces. 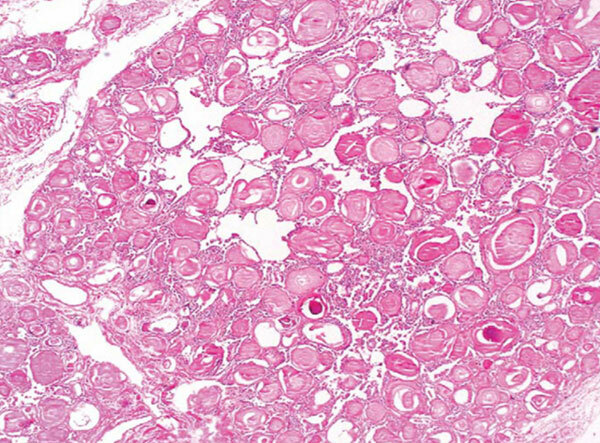 Occasionally, microliths are present in the bronchial wall or interstitium and, rarely, in extrapulmonary sites (e.g., in the seminal vesicles, sympathetic ganglia, or gonads,kidney). 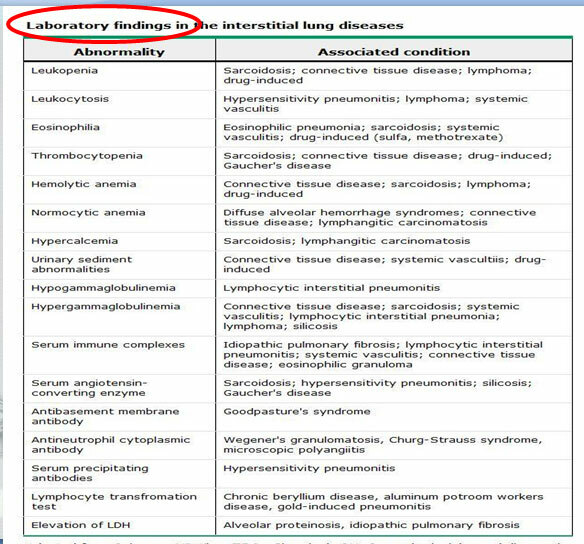 No effective medical therapy, and affected individuals may progress to end-stage lung disease requiring lung transplantation. hemopericardium (post trauma or cardiac surgery).